I wasnt going to post this yet but Im bored so what the hell..
A little bit of history for the people that dont know. I have had this car since the summer before my senior year of high school in 05, it was my 2nd. Bought it for one reason only. To build and race. 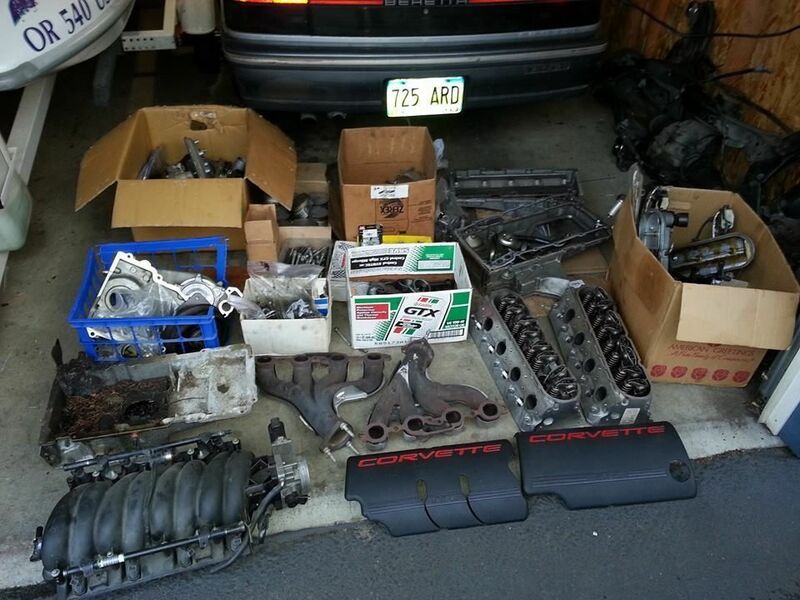 Specifically for a 3400 swap, it was "the swap" and would be my first ever. Started drag racing with the 2.8 running 17s and got it down to 16.4 with a few minor things. 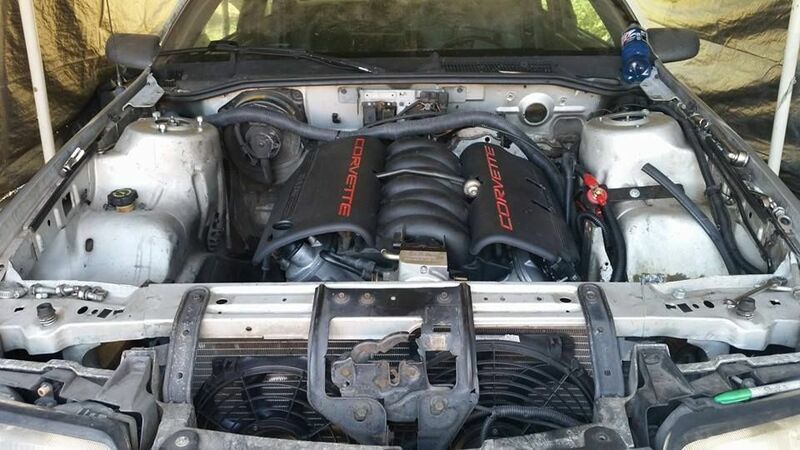 One thing leads to another, im on 3400 #2 and building the first one I had with 3500 top end, custom built 10.5:1 JE pistons, reground cam, and everything between you could imagine.. All in or nothing. 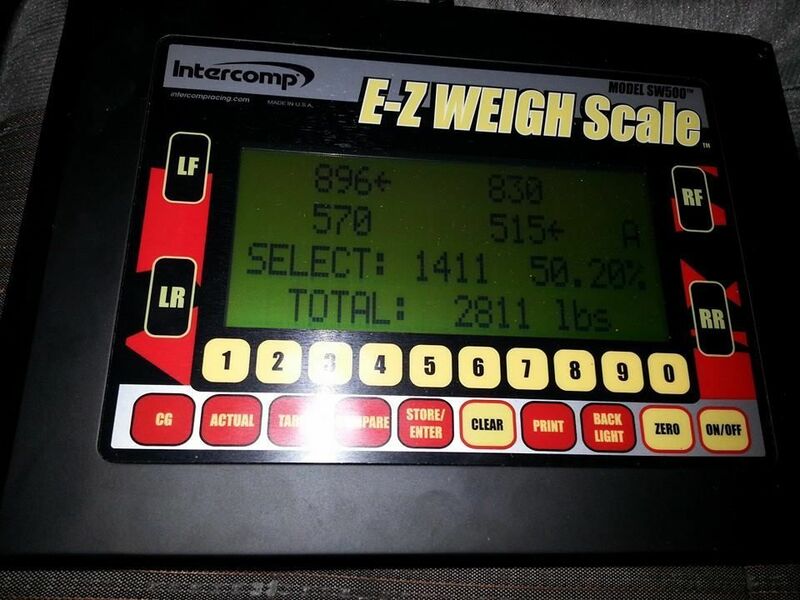 stock 3400 was putting down high 14s, the new one after a long time of tuning and finally going with stand alone EMS and made 224.5whp on a dyno dynamics dyno. By this time it was mostly an auto cross due to breaking stuff drag racing.. and those shift cables....... best qtr mile time with the built engine was 13.6@102 with drag radials. 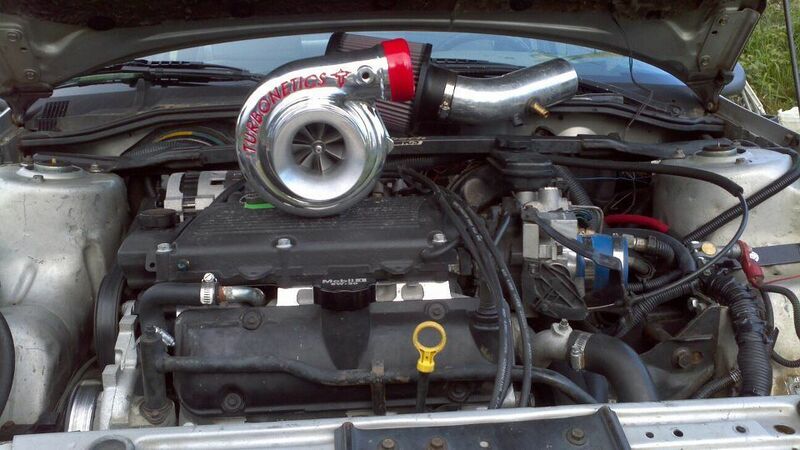 I was actually in the process of building a turbo setup with a ball bearing turbonetics 60-1 even. 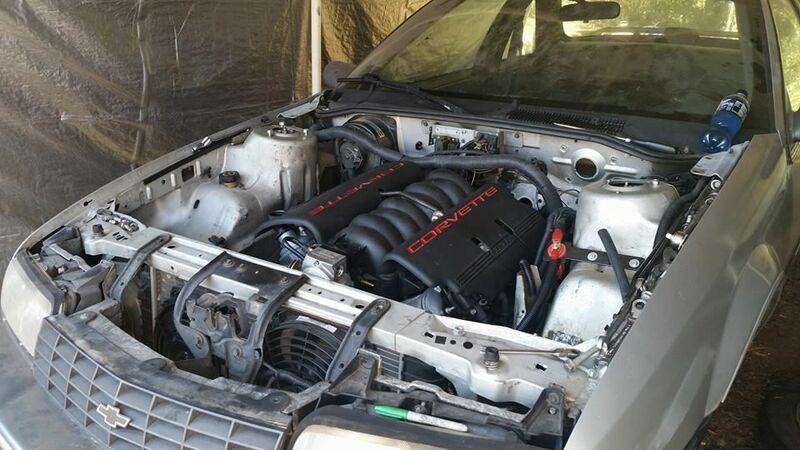 So the more serious suspension came.. konis.. then blew the diff at the end of summer 2013.. rebuilt the diff, then full coilovers with crazy spring rates.. corner balanced. Got my suspension dialed in and then I killed the clutch at the start of the race season after 30k of abuse (clutchmaster stage 3, amazing btw). OH and the wheel bearings.. poor wheel bearings.. last set of Moog bearings lasted 500 miles.. front and rear.. that was my turning point.. especially when I just rebuild the diff 500 miles ago.. and the one of a kind suspension.. I said F@#$ IT. I cant keep fixing this car every time I race and dealing with all the bs thats holding me back from being able to use the car like I want. 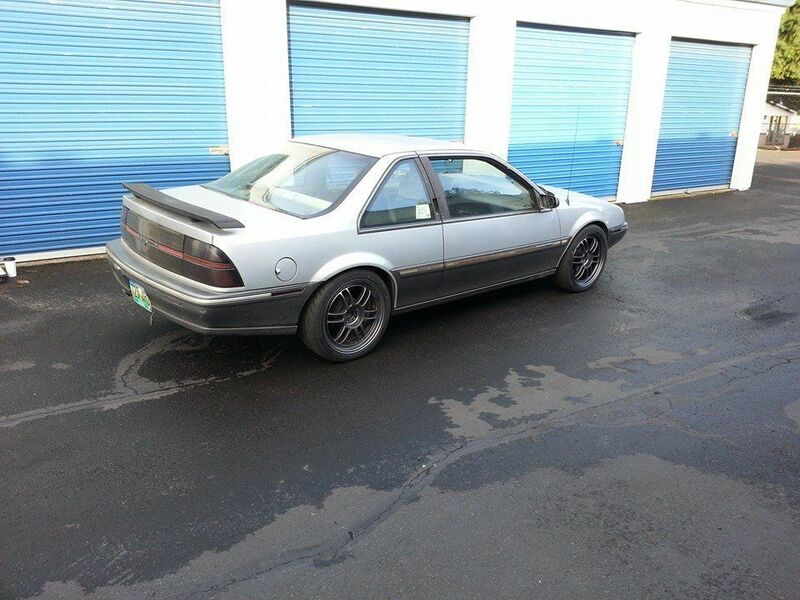 Im going rwd. I told myself If im going to go through all the trouble of doing this, it will be done right. Built to work correctly. 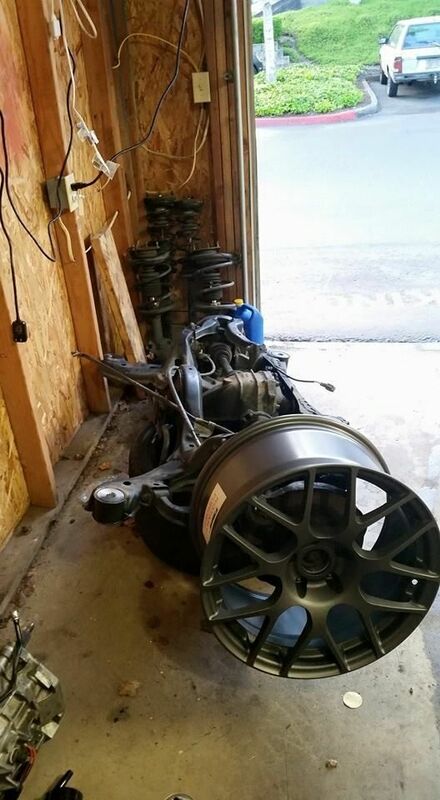 The T5 trans is crap and would never hold the power of the new turbo setup I was working on.. that wasnt an option.. so what do you do.. buy a new rwd car and start over? 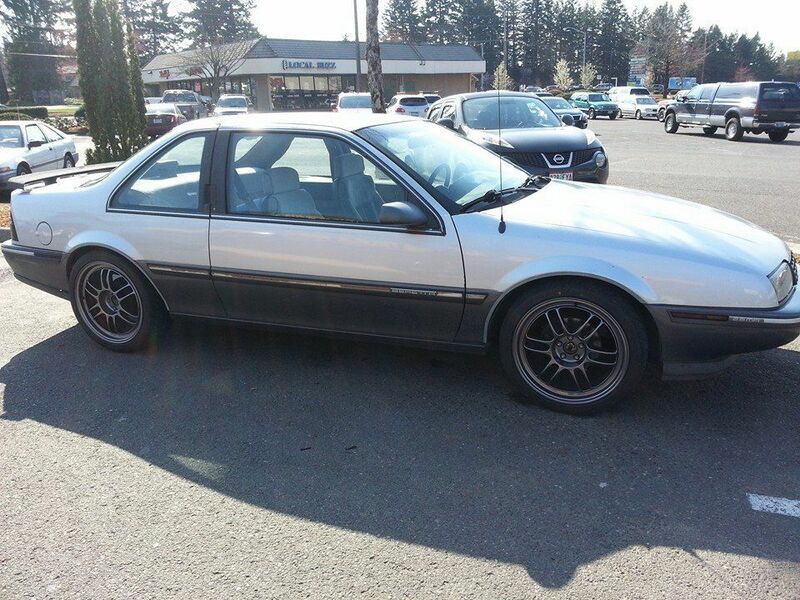 have a car payment on top of having to drop a bunch of money on it just so I would be happy with it? Even a GTO or c5, which I have always wanted.. just couldnt bring myself to do it. 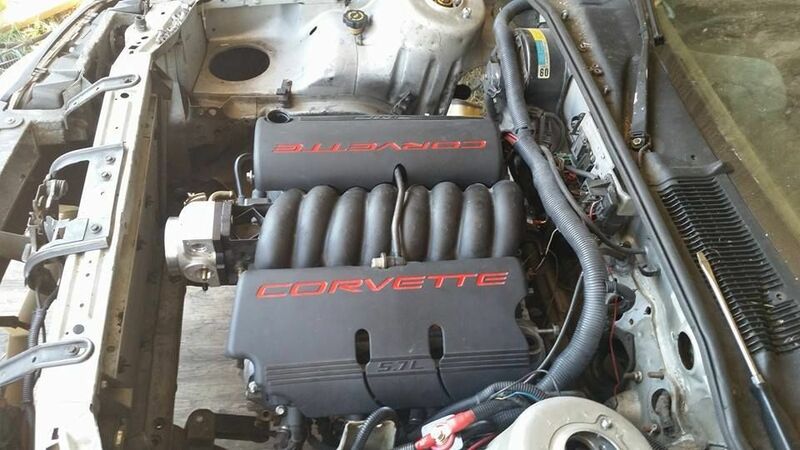 This is when you buy an LS1 with a t56. As everybody you know tells you that your stupid and you cant do it.. just like all the previous setups.. only motivation I guess.. I havnt failed yet have I? Yes this is happening. 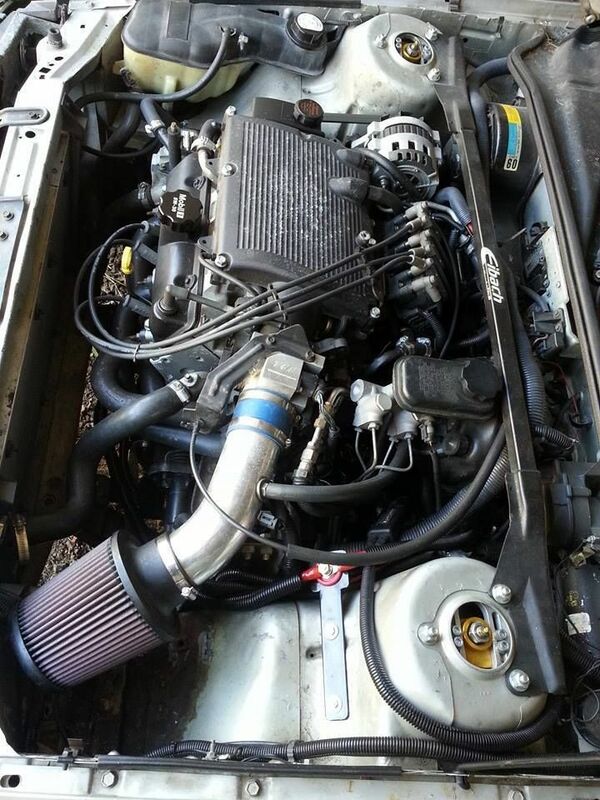 -T56 from an 800hp 04 CTSv with 4k miles, its not a stock trans! bronze pads,billet keys, steel shift fork, bronze shifter cup. 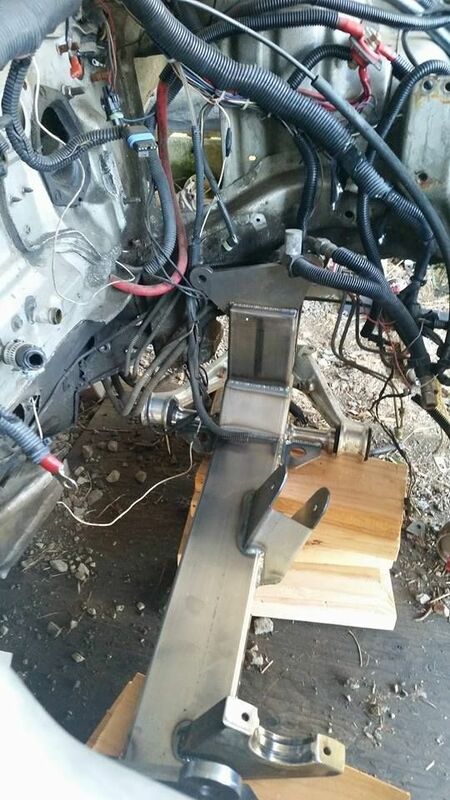 I have all the parts to convert it to GTO spec, basically moves the shifter location. 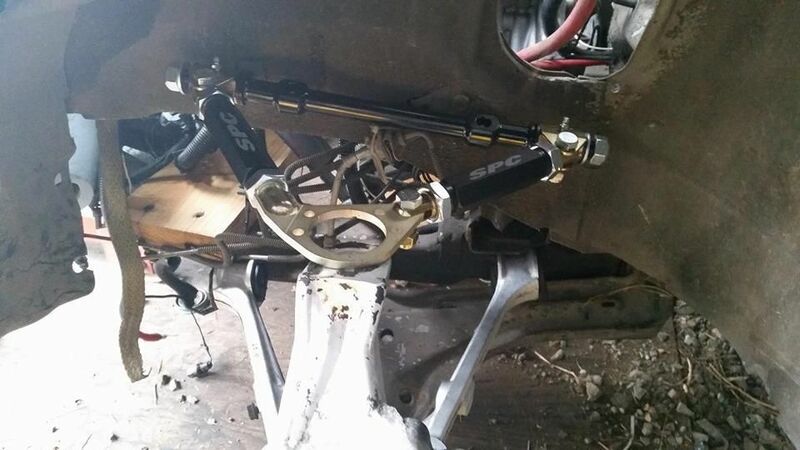 Also have an MGW-p short shifter for it. 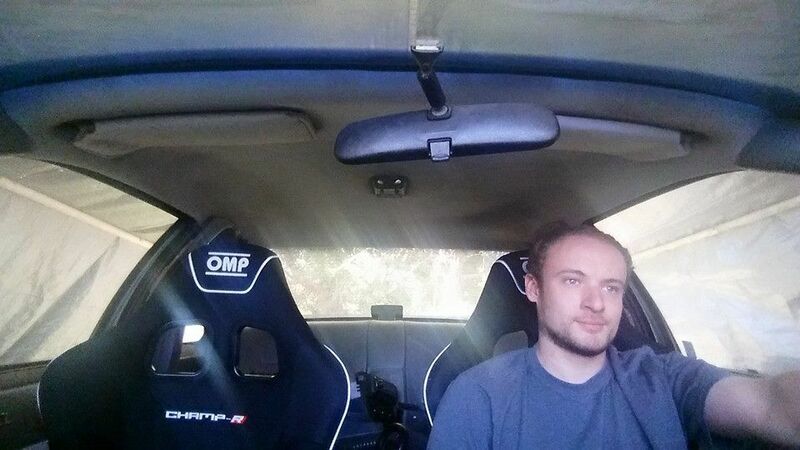 I could be forgetting things..
-new style interior, since im doing a dash..
Im shooting for a 400-450rwhp NA engine, with room to expand. 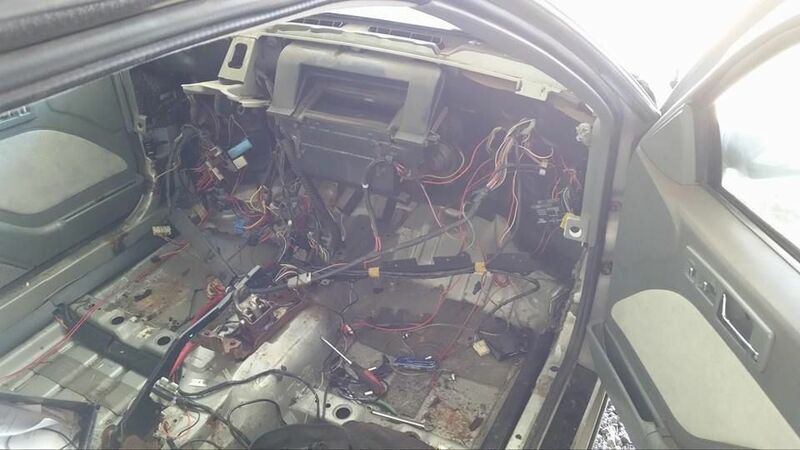 This will be a full interior car, with a stereo. I would like to add, if it wasn't for all the people that I have met along the way in this world that have helped me learn, I wouldn't not be where I am to day. Im not a mechanic, I worked at a street rod shop for a few years and have a degree in automotive refinishing. Currently just a truck driver, nothing special. The automotive world is my life. If you don't do it, it will never happen. 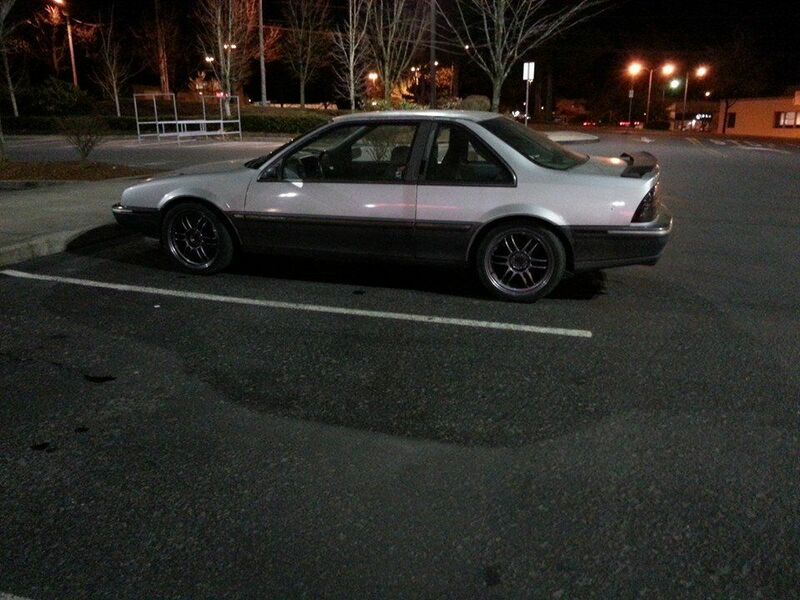 Back when I got the car. The first time I saw it, I knew I would own it someday. Last edited by Alxsmt on Sun May 10, 2015 3:33 am, edited 1 time in total. more details on my old setup, it is very out dated tho. 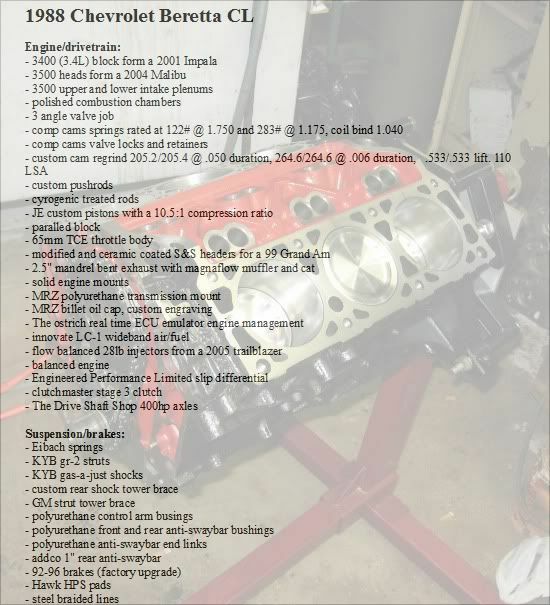 that is the engine that I built for it. 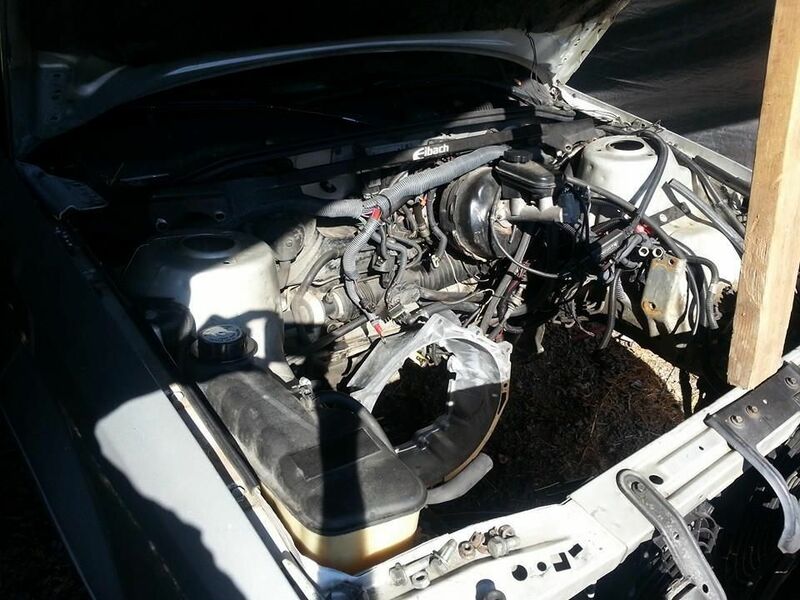 with me in it, full interior and stereo. yes.. it kept up with both those cars from a roll. 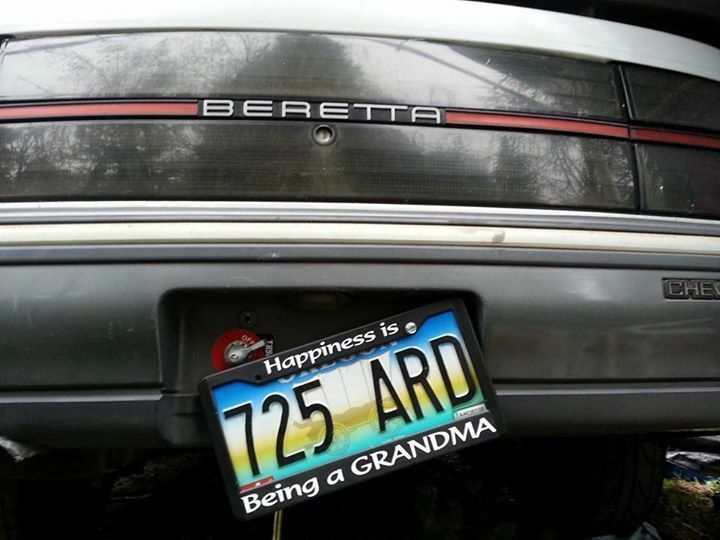 hey, its a grandma car. I guess it wont be much of a sleeper anymore..
Last edited by Alxsmt on Sun May 10, 2015 4:16 am, edited 2 times in total. front and rear roll centers are not figured out yet, but don't worry, I didn't forget about it. 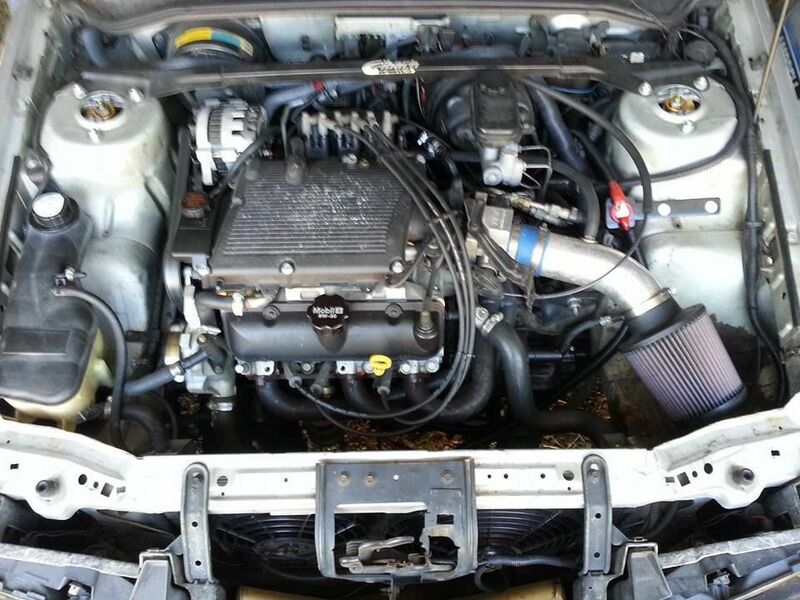 the engine will need to sit back farther than in the pictures tho and an aftermarket oil pan will be needed. the fire wall well need to be cut so the engine can sit snug against it. the firewall has an angle to it..
why early C4 you ask.. well the width is 60.5" hub to hub (beretta measured at 59"), The early C4 is also a proven autocross/track car. the length of the c4 is VERY close to a beretta, meaning the Ackermann angle will be close to how it should be. not 100% but close. besides lots of people have different opinions on what is "correct" as far as that goes. 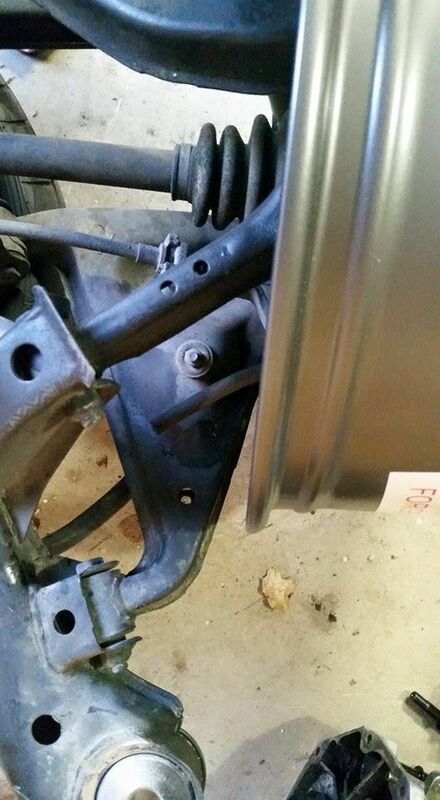 the factory frame will need to be notched, I was really really trying to avoid that but what do you do.. Im already screwing up the crush points so what the hell I guess..
this is why I cant use factory front suspension. 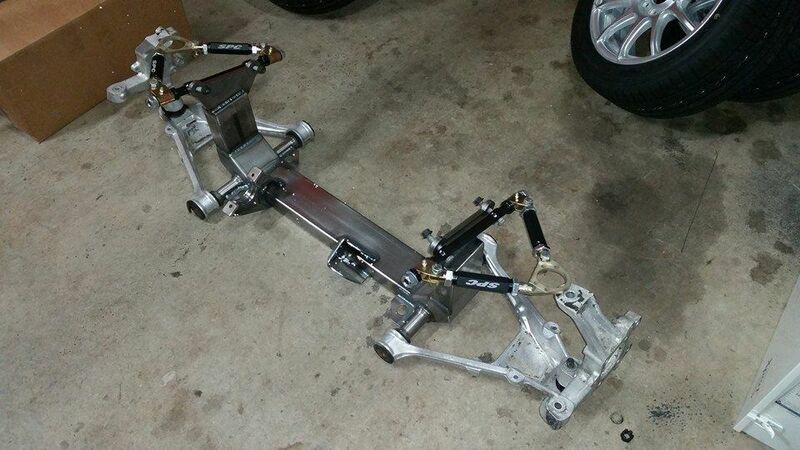 I was going to try, then get custom hubs built by coleman.. but the rack is really in the way. 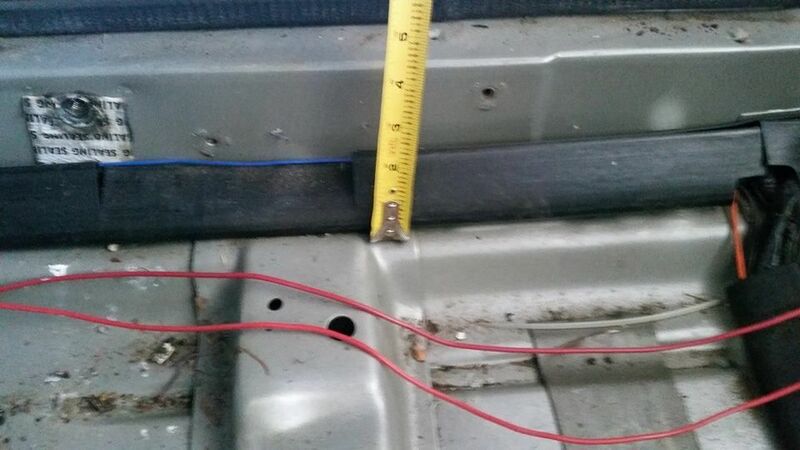 actually everything is.. heater box had to come out, and I will be cutting where the heater core is. I will use an aftermarket electric setup like they do in the street rod world for a heater/defrost. brake booster is also gone, I may run a remote booster or just run manual brakes, but I will have dual master cylinders with a bias bar. 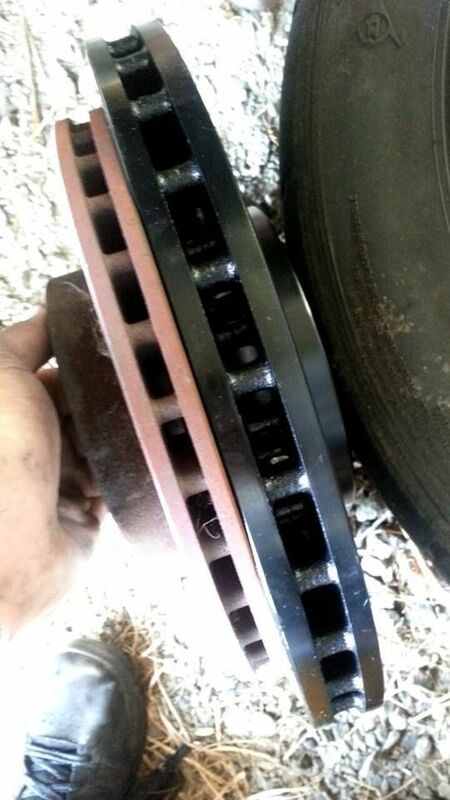 the rotors.. well one. 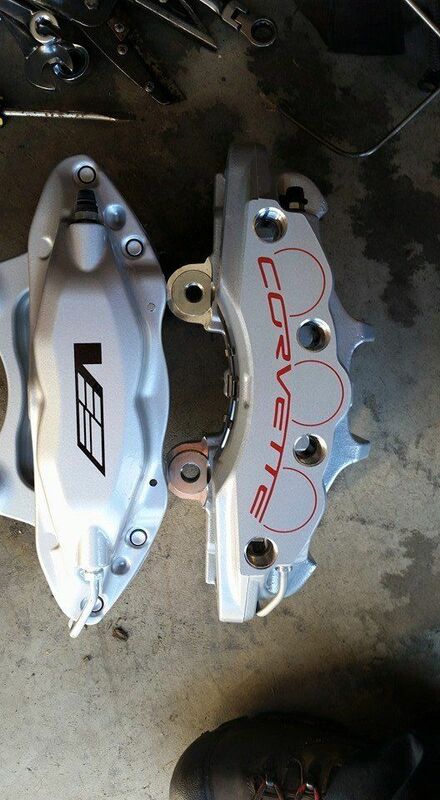 this one is for the ctsv calipers (dodge srt8 rotor, same calipers different bolt pattern). 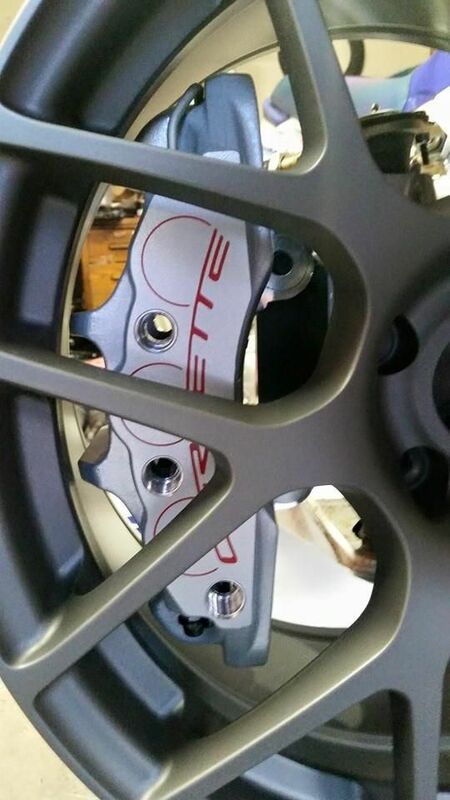 I was planning on running the ctsv brembos but they wont fit with my steering knuckle design.. so I ended up going with the vette stuff.. (rotor pictured is the same size, contact patch Is a little different and a few other minor things) and yes its on a GTZ wheel. I am DONE with brakes that catch on fire in 2 miles.. yes the stock brakes catch on fire.. meaning I couldn't do any real track days. I was limited to auto cross. Last edited by Alxsmt on Sun May 10, 2015 4:43 am, edited 1 time in total. s14 rear end. why? 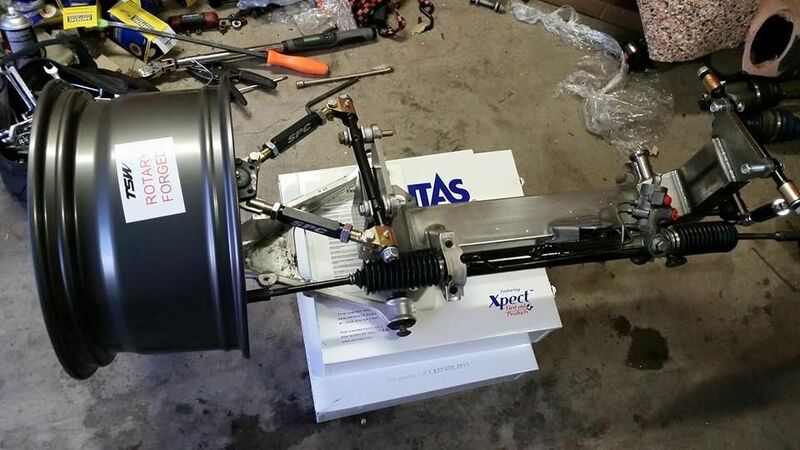 60" hub to hub (same as the beretta give or take 1/4"), race proven (including bearings), tons of aftermarket, and people claim they can hold 800hp in stock form. I stole this idea from barry, he does get credit! I did look at tons of options and this ended up being the best I found. 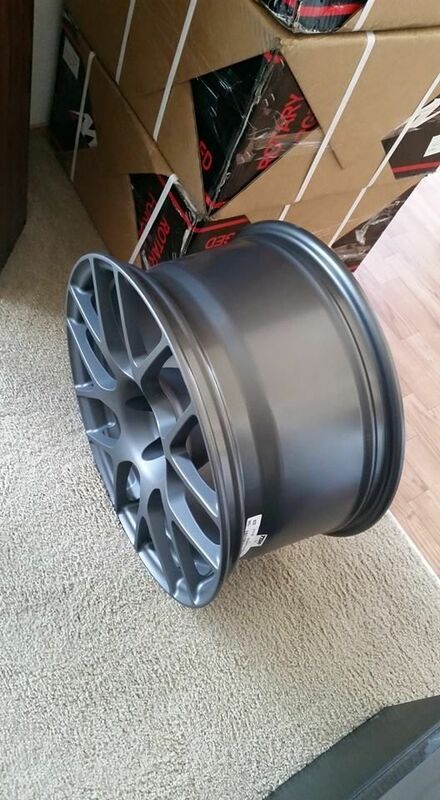 tsw nurburgring 18x9.5 40mm offset. I was planning on doing 15mm offset but come to find out, offset does matter more than you think. do some reading about scrub radius. 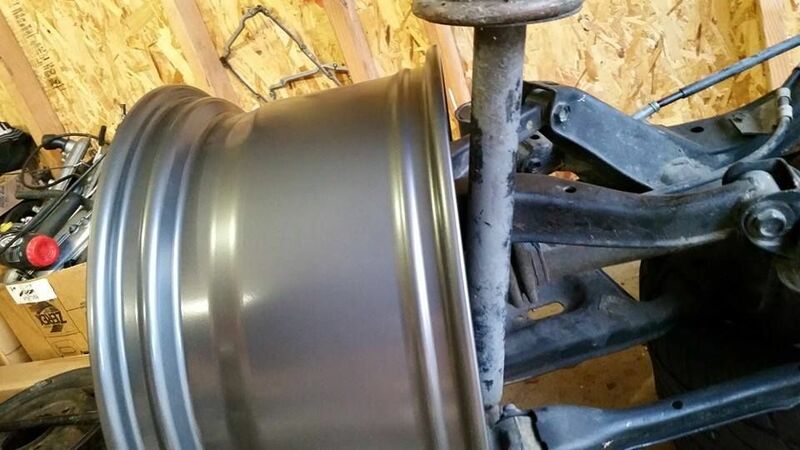 the early factory c4 had a positive scrub radius, it changed to zero in later years. positive gives you more feedback from the road, too much Is not good. 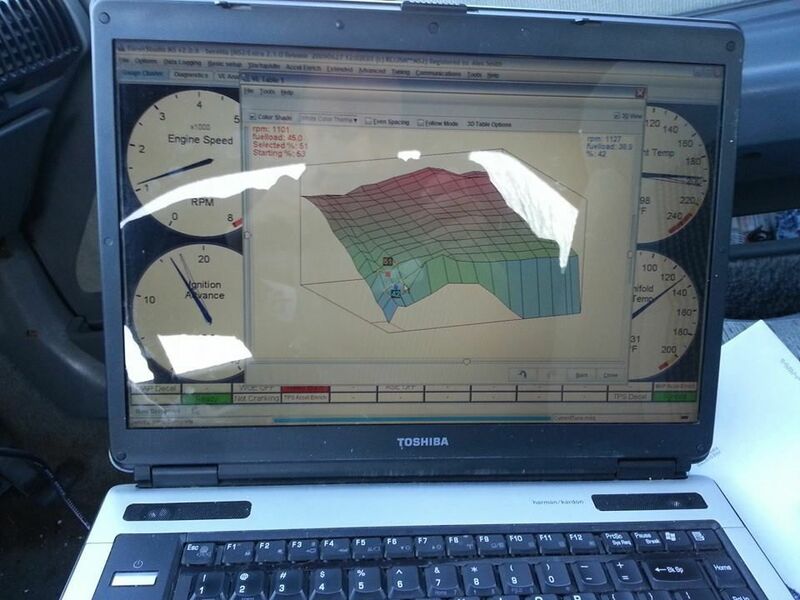 with this offset it will be close to zero than the factory c4 but still positive. they should tuck under a little better too, I hope. 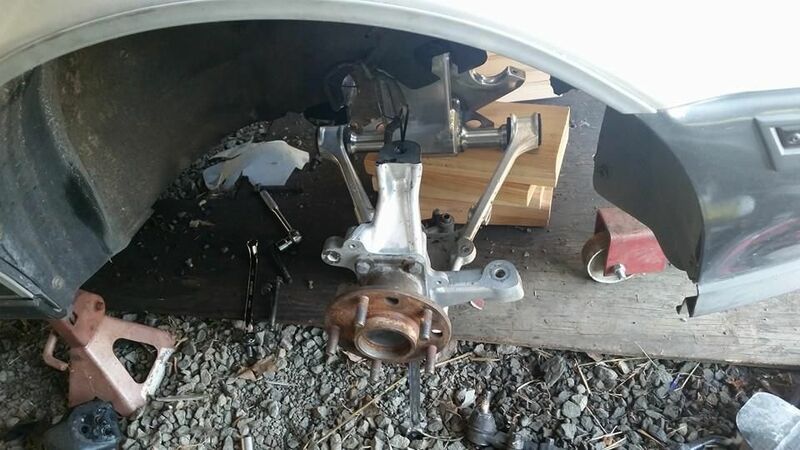 on the s14 rear end. almost don't have enough room for them! 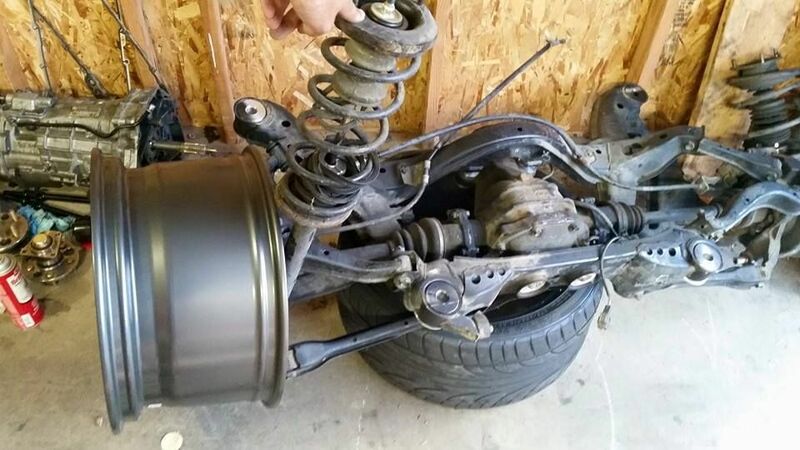 Im not sure about what im doing about rear coilovers, I may run the double adjustable koni insert a lot of guys modify to work on the s14 (same valving as the 8212 actually, just different externally). I would really love to run the 8212 all around tho, but we will see what works later down the road. 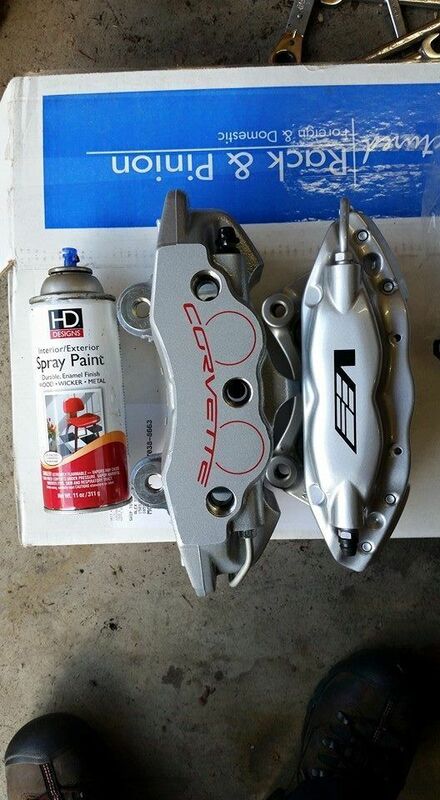 my c6 rotor is at coleman racing right now for the hubs, but the caliper is bolted up. its a pretty tight fit.. but it works! 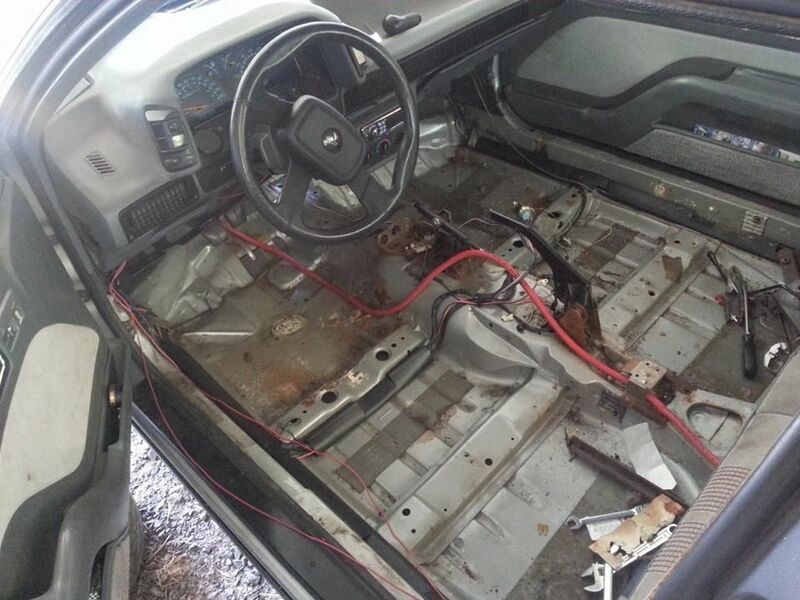 modified to fit 6.5s in the dash, I will leave it unfinished until a cage goes in. 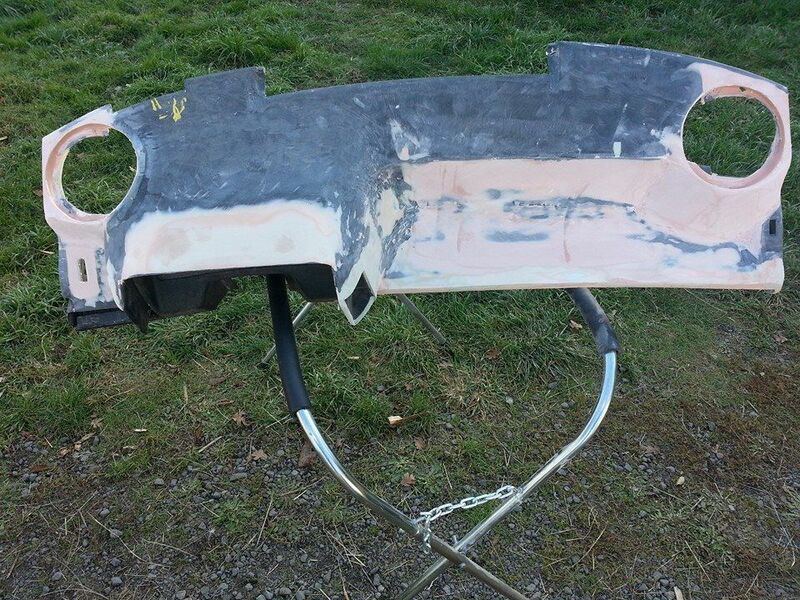 I may have to move the speakers in to make room if I go with an 8 or 10 point.. when its done, it will be fiberglassed so its a big shell (I don't trust body filler or fiberglass on plastic) it will also be finished with bed liner on it. 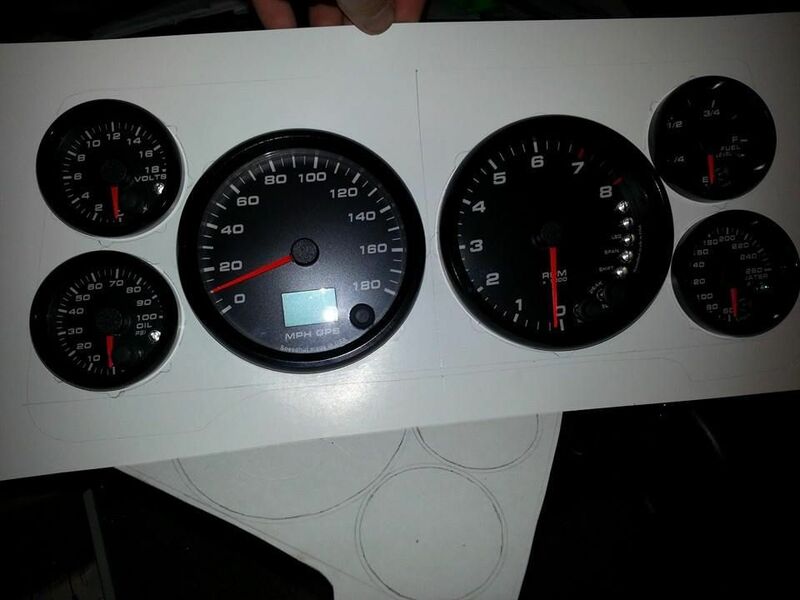 the gauges. I have a few more that will be mounted somewhere on the dash. 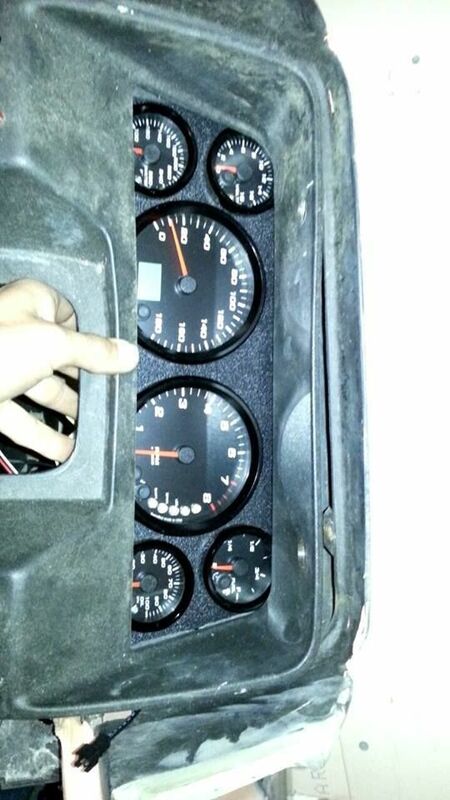 I bought them when I was doing my turbo setup so I have all the extra gauges for that also. 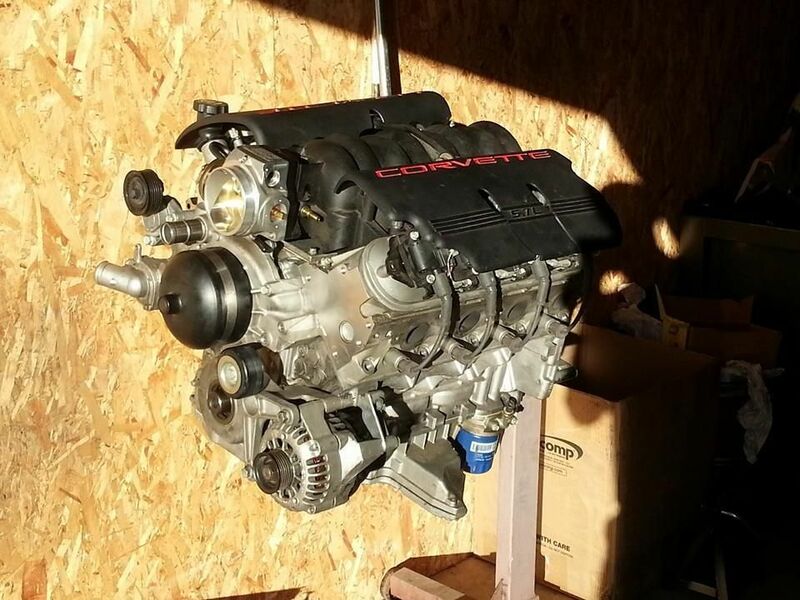 ready for a boosted ls1! little bit of trimming will be needed. worst case Ill redo the layout. FIA approved seats. not that I will do any racing that requires it, but will a cage, and all the screwed up crush zones, I will play it safe. 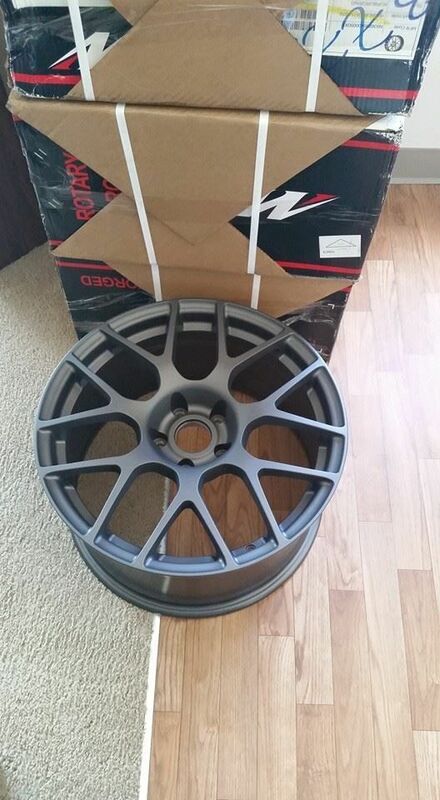 it was a toss up between the sparco evo and these. 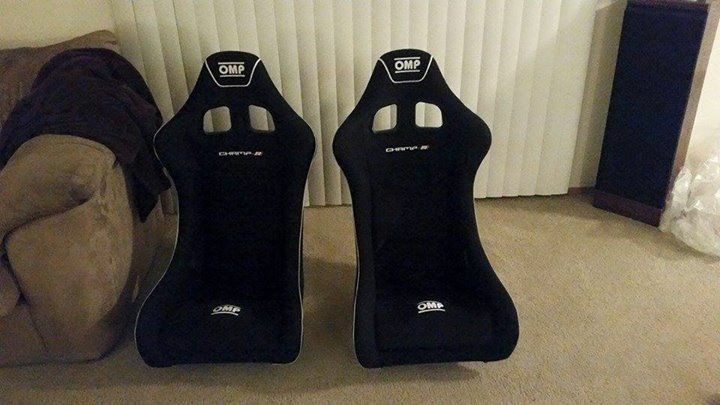 the OMP wont tho, they were a little more comfy and 100 bucks cheaper a piece. great fit. 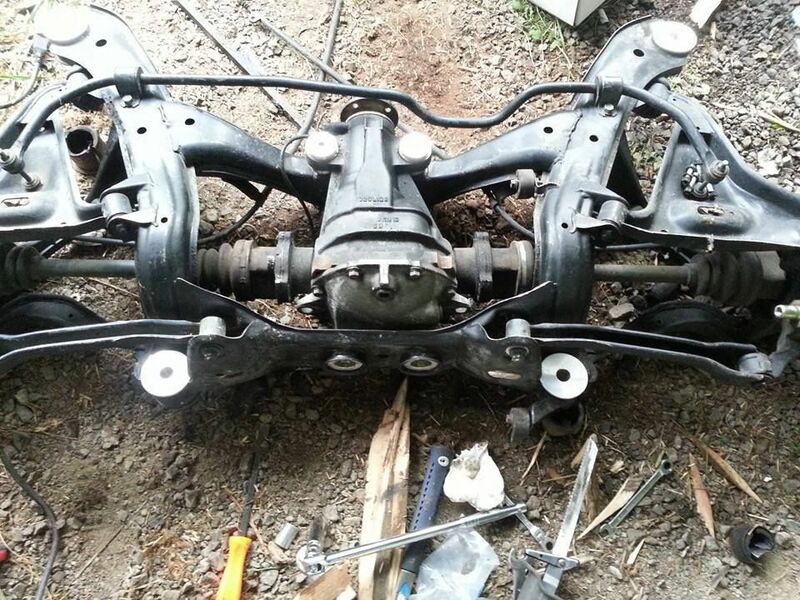 will have tons of extra room for the trans and frame. factory "frame rail" by the doors. 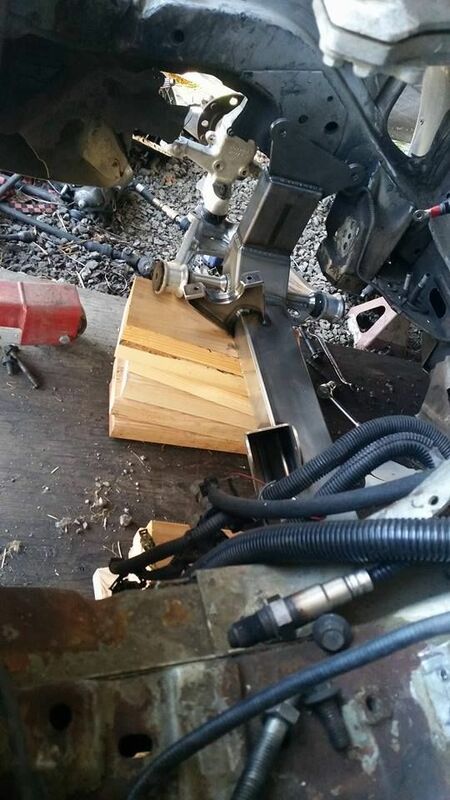 The plan is to use 2x4 or 2x6 box, cut the floor where its needed and weld it up against the factory "rail" and have that tied into mounting the front/rear suspension and engine. 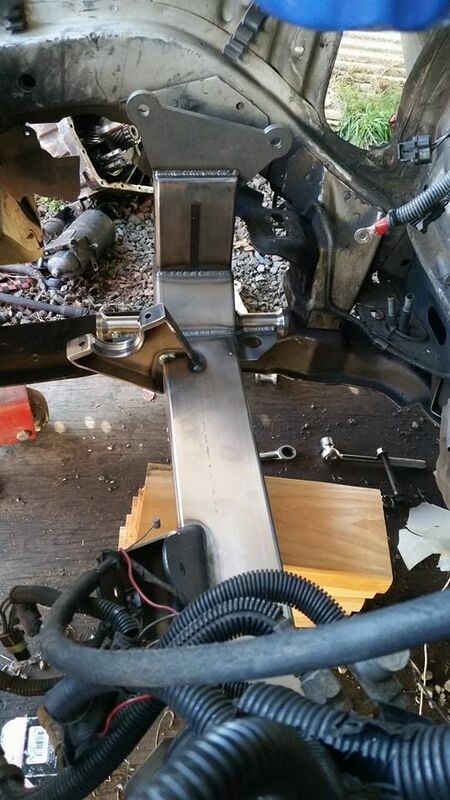 I don't trust sheet metal with all the new twisting this fwd unibody was not designed for. I want my car to hold up to abuse and would really like the corner of my windshield to stay in place (its glued.. but you know what I mean). That's as far as I am so far. 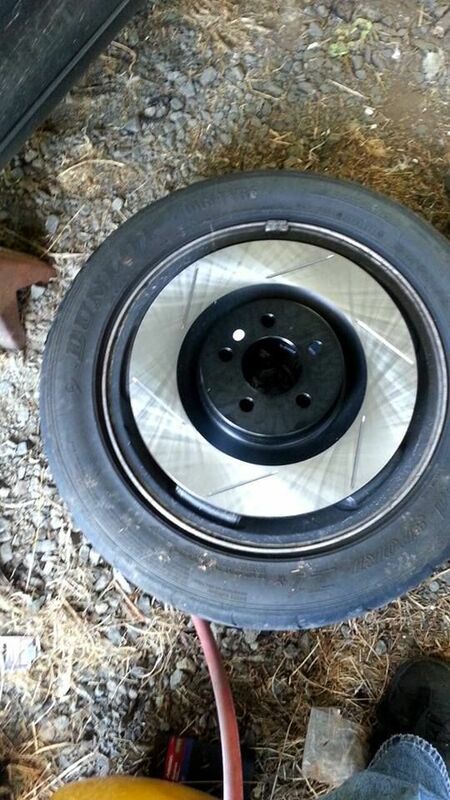 Next step is to get my tires mounted and wait for my hubs to get finished. 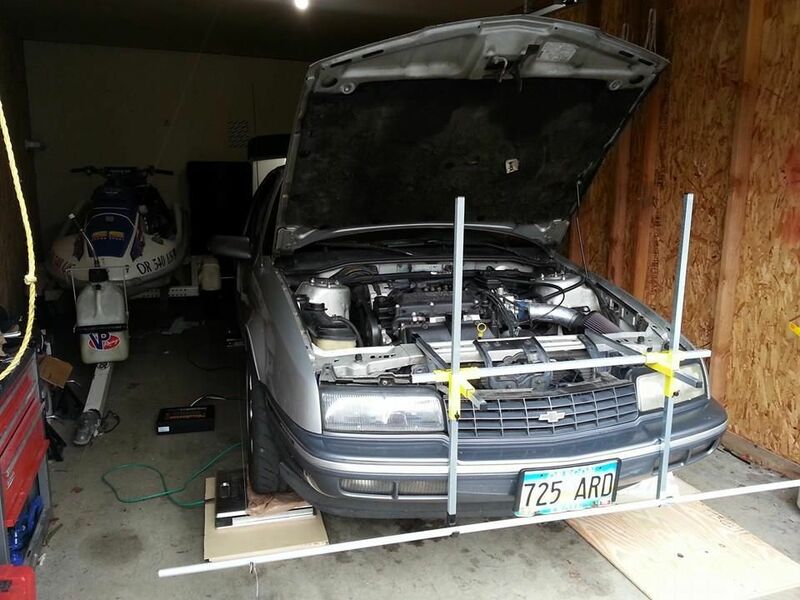 Planning on leveling the car where it sits then its time to do a more accurate mock up, get my roll centers figured out and bump steer, build temp front and rear subframes to attached the suspension to the car so I can do all the sheet metal work needed and have a rolling car again. 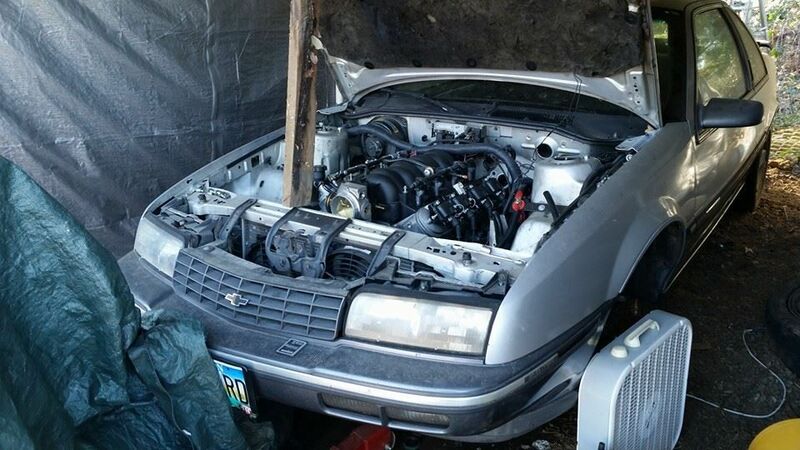 Then its off to my friends shop or my cousins shop so I can do frame (with help).. then officially mount the engine/trans. 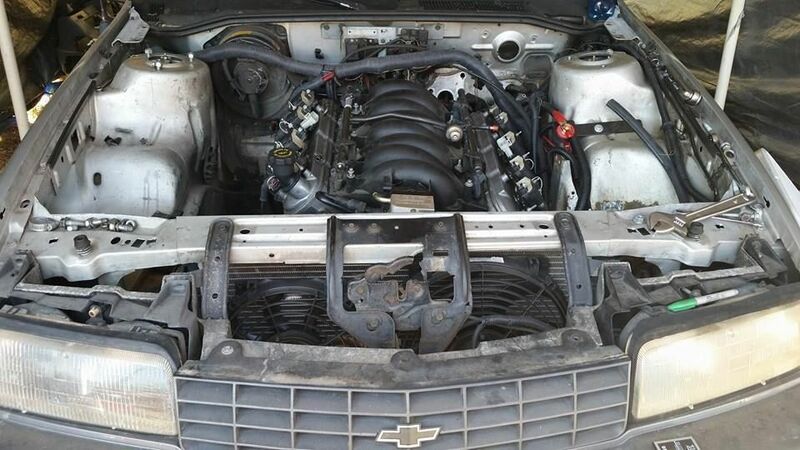 Have the cage built and seats mounted (I wont be doing that), brakes finished up and lines ran, possible do some aero mods, paint the car inside and out, rebuild the engine, and finish up all the Bs things that will come my way. Im expecting a lot. when will it be done? who knows. 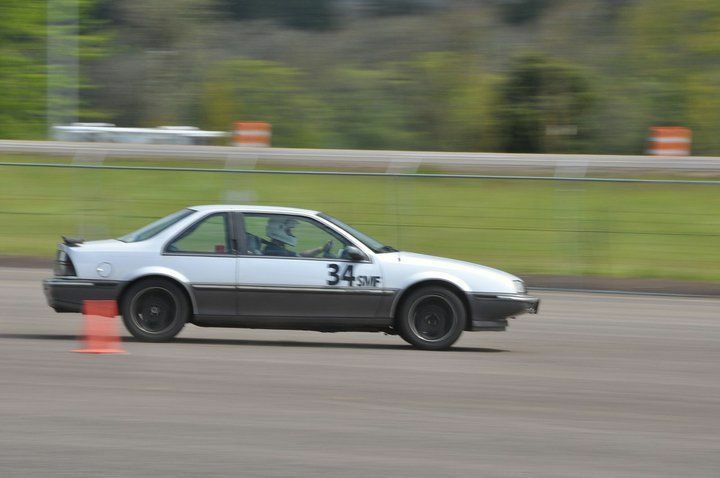 Im really dying to get back out and race so if all goes well I can possibly get my frame done this winter and drive it at the end if next summer? Maybe? So far I have about a year into this, the research and collecting the major parts is done. Now its a matter of doing it. Im open to any ideas/comments/questions. Im only one person, maybe somebody will have an idea that I never thought of. So much nice parts that this is almost pornographic. Get this done and you will be my hero. 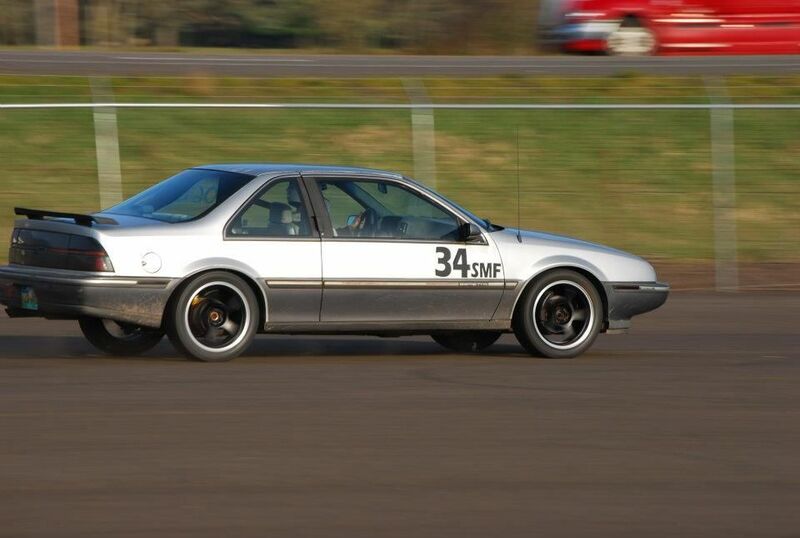 And I completely understand the frustration over fwd stuff like bearings and shift cables etc, these weren't really racing cars to begin with and those obstacles can be really hard to overcome if you want\need a solid and dependable vehicle to take it all. 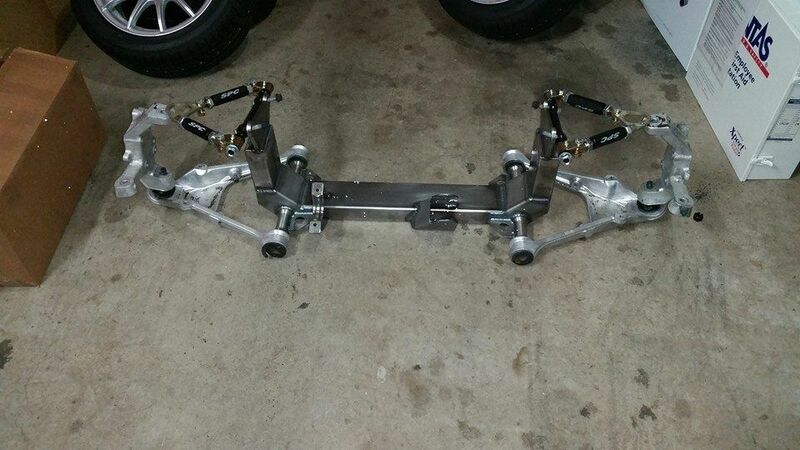 Very nice selection of parts going in, and that front suspension is awesome, I didn't know they make stuff like that. 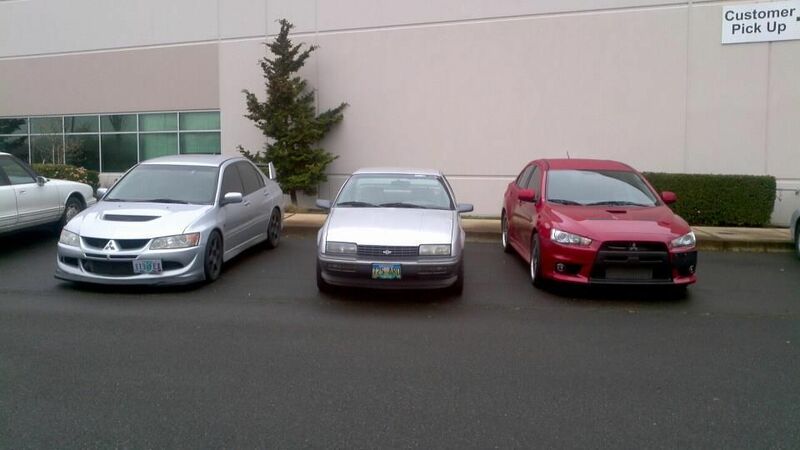 I only wish fwd\rwd swaps would be legal where I live. Im open to any ideas/comments/questions. 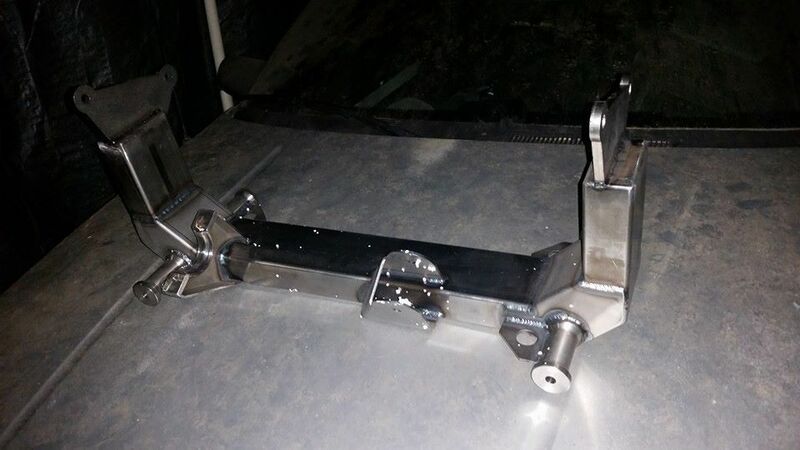 I'd say you definitely want to make the the cage a load bearing structure for the whole car, forget the '6-10' point stuff, this thing needs to be welded to every suspension support and attached on the A and B pillars whole way. I'm completely speechless......What I just seen up there is F^@&ing awesome! Great work I cant wait to see the turnout..
haha, yeah. 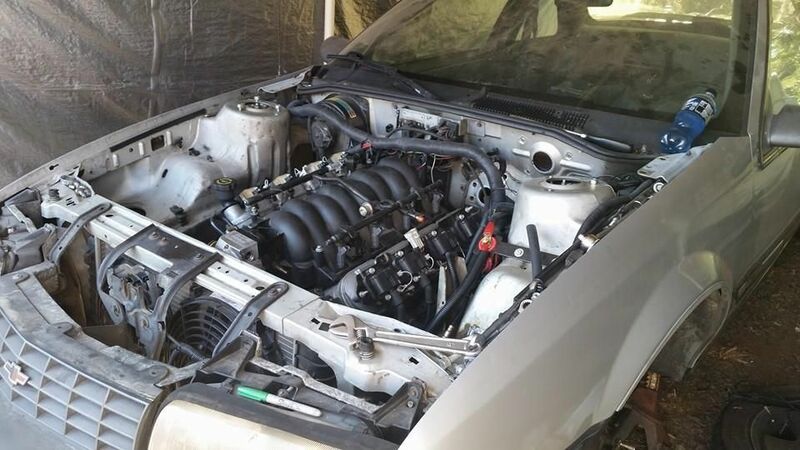 Ive learned that if you buy the best parts to suite you needs, you end up more parts in the end, more work and 3x the money you would have spent just doing it right the first time. yeah once you start to play with a car that was never designed to be raced, you actually start to understand why people dont race them. well some cars it seems you can get away with, but as far as just the simple design of stupid random things goes. 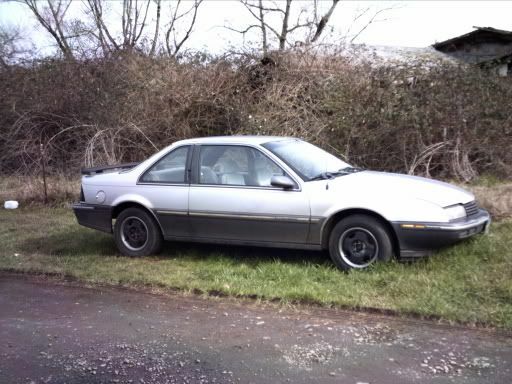 you cant even register it as a kit car or anything? I have no possible way to get big structural changes in car street legal here, not even money can solve it. Very strict and stupid regulations. Also kit-cars are banned, along anything made in US spec after 1996. But definitely following this thread, keep us updated. Wow that's crazy. I never would have guessed. No inspection where I live, just emissions and that's an easy game. Pretty sure there is no way you could drive such a car on the roads here in Europe fully registered and legally. 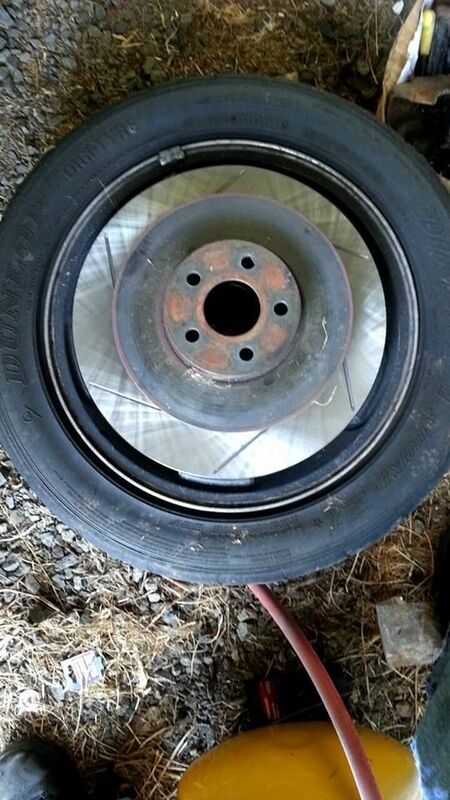 Hell i even have to pay the state if i want to run a bigger tire size on my cars. 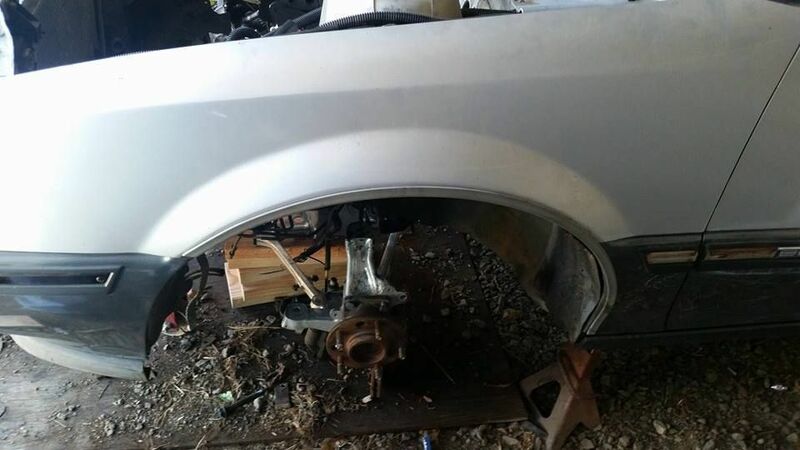 I even have to get this checked out by a "engineer" at a shop that are allowed to do this, just to check if its not too dangerous to run bigger tires on my cars. LOL! Well alteast that how it is in Austria and Germany that i know of. Already have seen your plans on facebook... thats an pretty awesome build and hope you get this done. Good luck and Keep it up! They look pretty cool, and we can't get them. Plus it's the nissan super car. Kinda like the supra. But 275 hp really isn't that impressive..
Wow, I thought California had terrible car laws.. it does make sense tho, we have a lot of cars that really shouldn't be on the road over here.